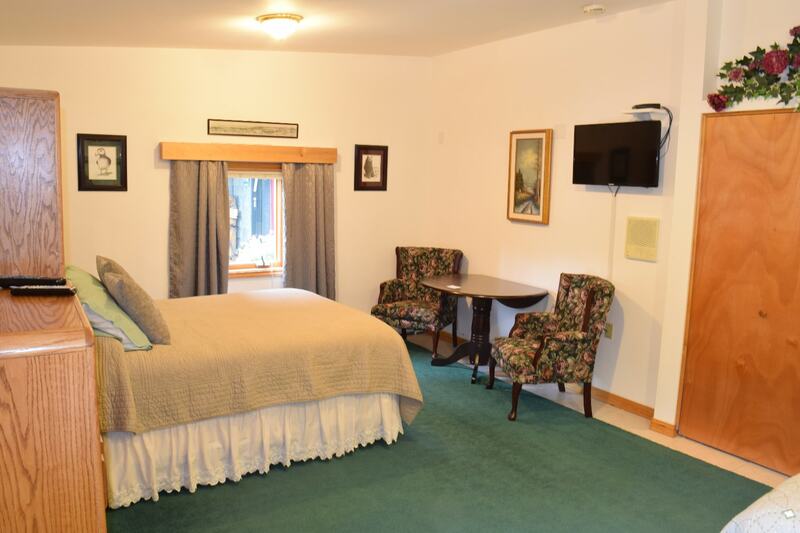 The Alaskan Suite is a large suite located on the entry level of the B&B. This suite features a queen size bed and two extra-long twin beds. This suite has a private shower-bath located directly across a private hallway. 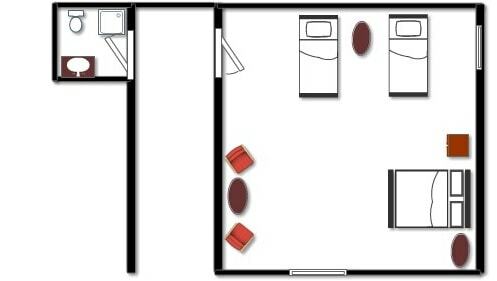 Please see the room layout for the floorplan of the suite. 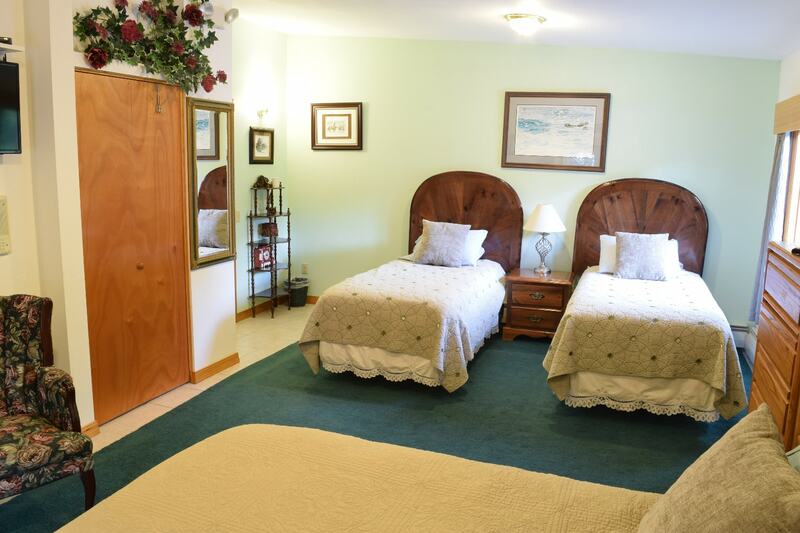 This suite can comfortably hold four guests, or for guests needing multiple beds. Formerly called the Susitna Suite - Mt. Susitna is located across Cook Inlet from downtown Anchorage and was named after the lower Susitna River, however many folks think the name means "Sleeping Lady" since the mountain actually resembles a recumbent woman. The Susitna Suite offers a nice view of the mountain from it's bay window.